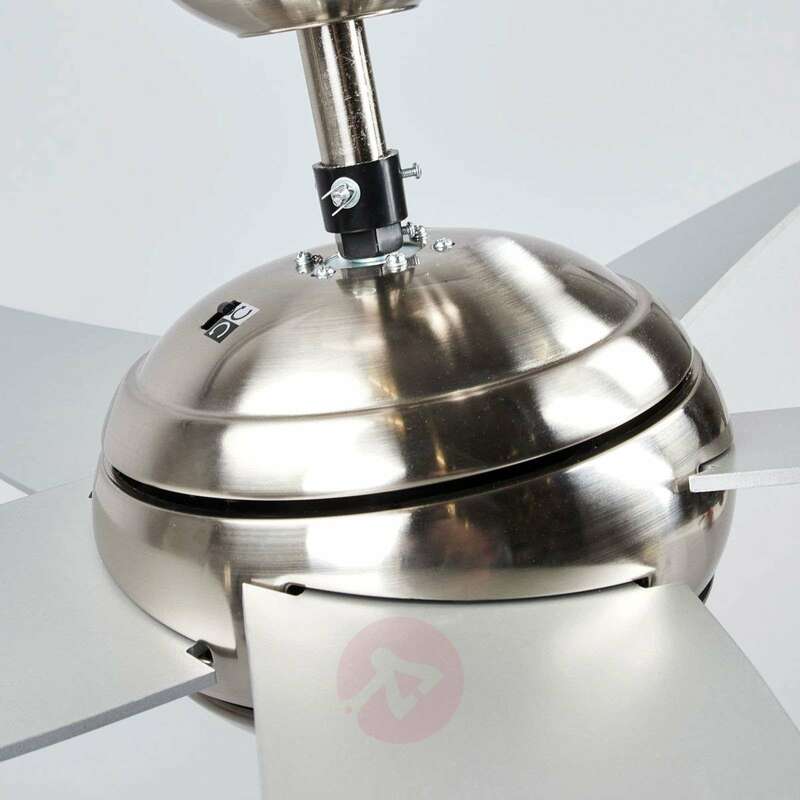 Five silver blades are attached to the casing of the Anneka ceiling fan, which run both forwards as well as backwards. 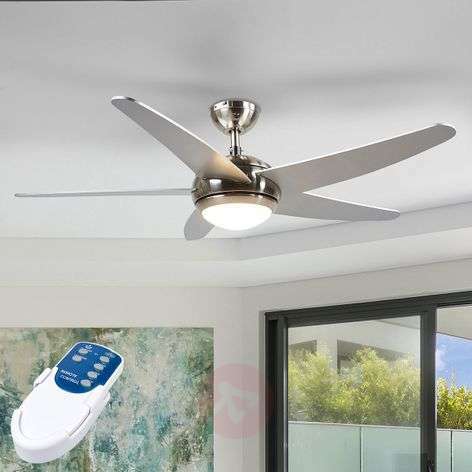 This means that the fan has a winter as well as a summer mode. 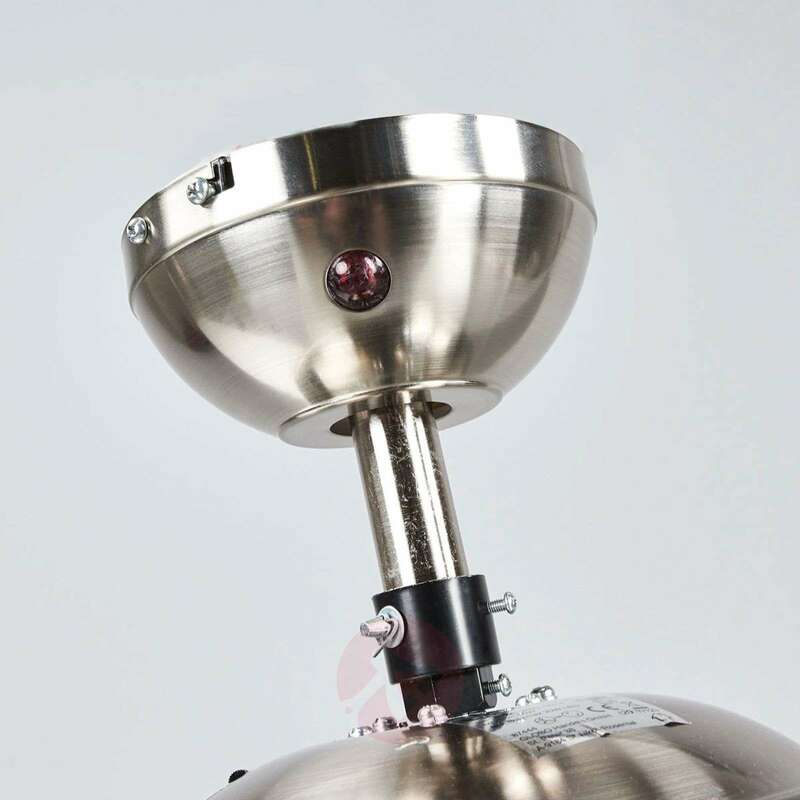 The mode can be set via a switch on the casing. 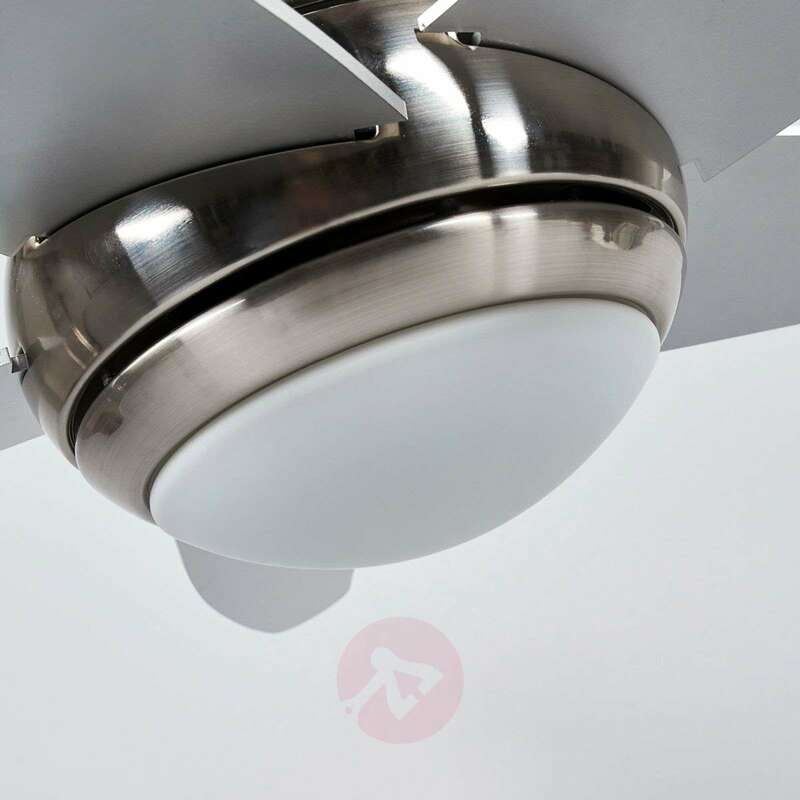 In the summer, Anneka offers a fresh breeze, while in winter, the warm air underneath the ceiling is pushed down into the room helping to save heating costs. 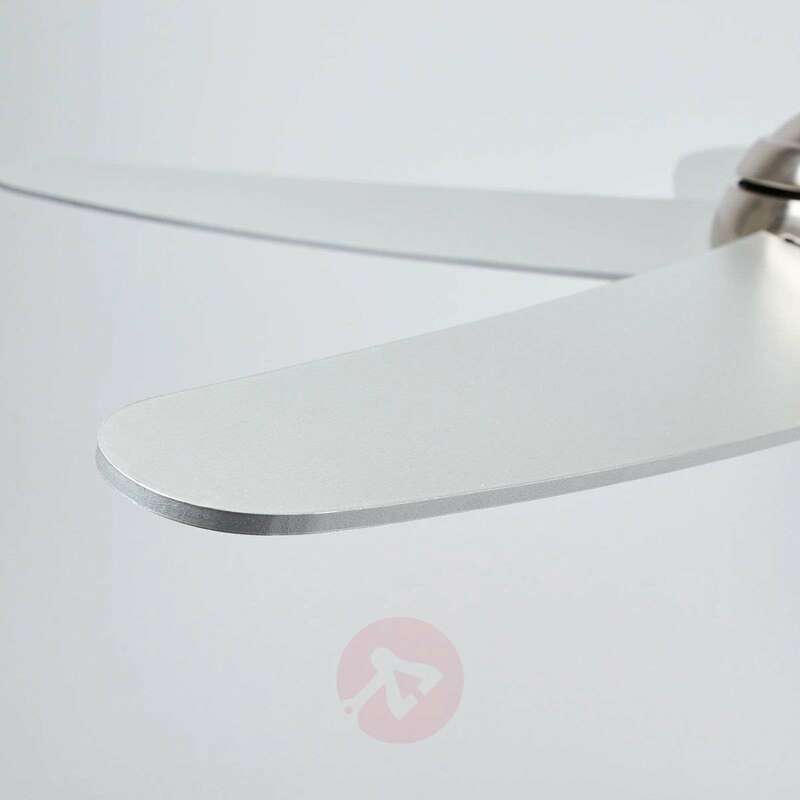 Thanks to the LED technology, Anneka is a ceiling fan that provides light in an energy-saving way. 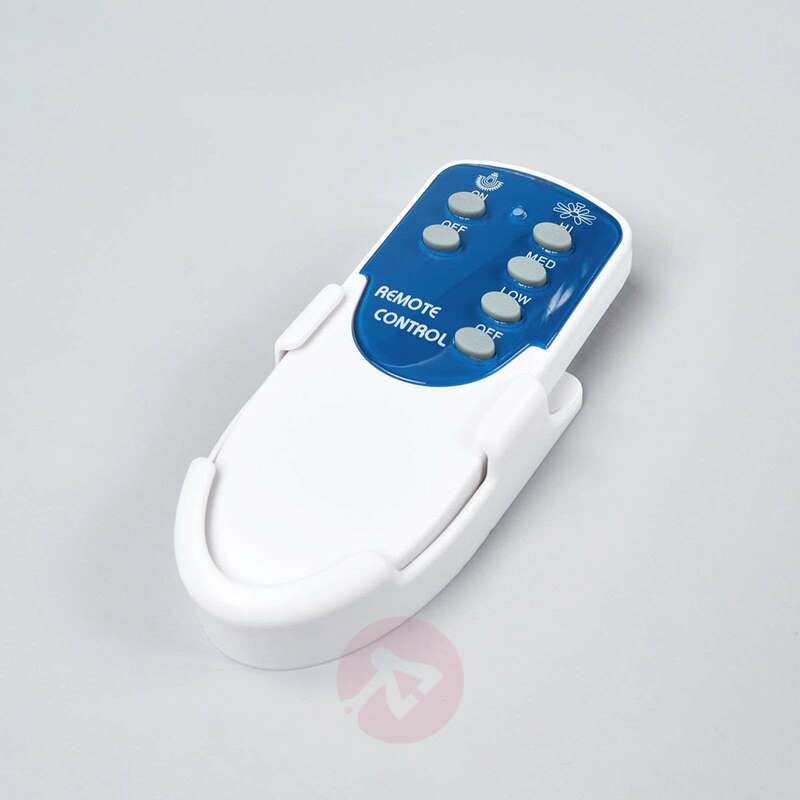 The three speed levels can be set via the remote control provided. 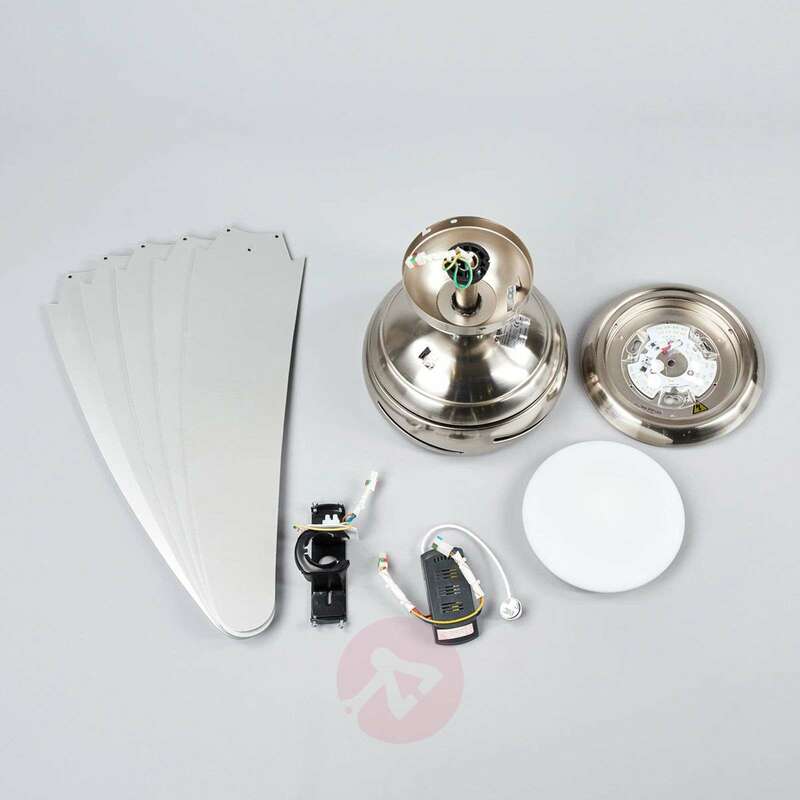 Can this light be installed where the wireing for only a normal light? Yes with three wires. 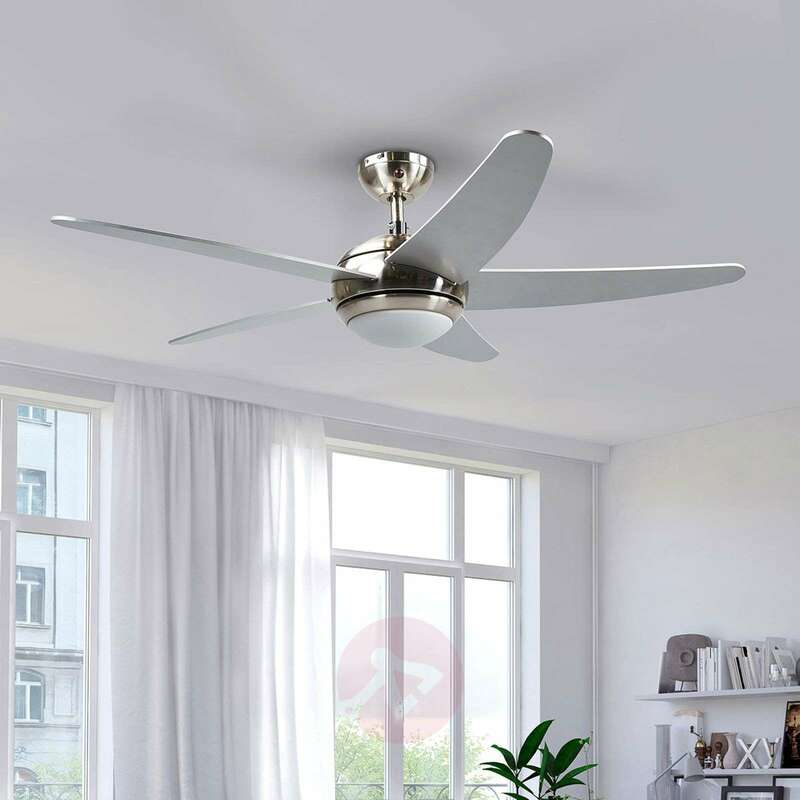 We recommend having electrician to install it. 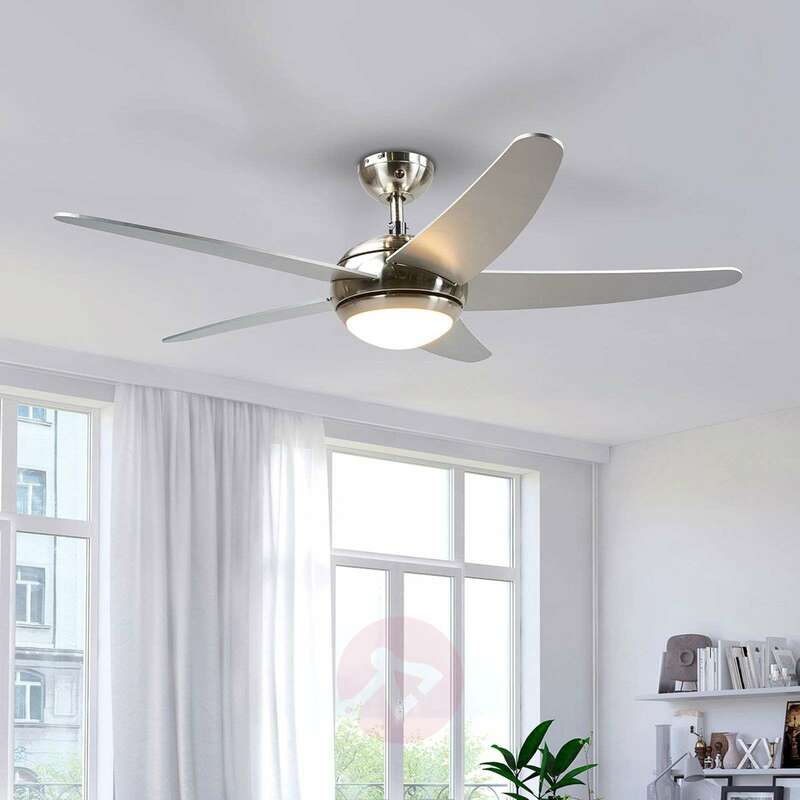 Great strong fan, nice bright light, excellent modern construction.